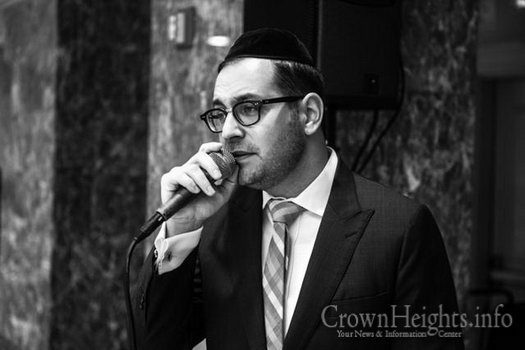 This past Sunday marked the Bar Mitvah of Moshe Yitzchock Kaploun, the son of noted community Askan Rabbi Yehuda Kaploun and his wife Dr. Lea Kaploun of North Miami Beach, FL. 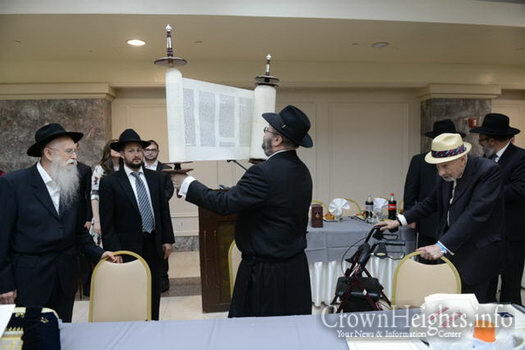 In honor of the bar mitzvah, a new Sefer Torah was dedicated in memory of Moshe’s great-grandparents, who had been pillars in their respective communities in Israel, Australia, Canada and United States. 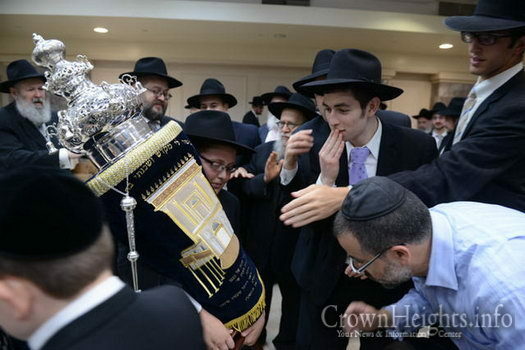 The Sefer Torah was completed and dedicated in their memory. 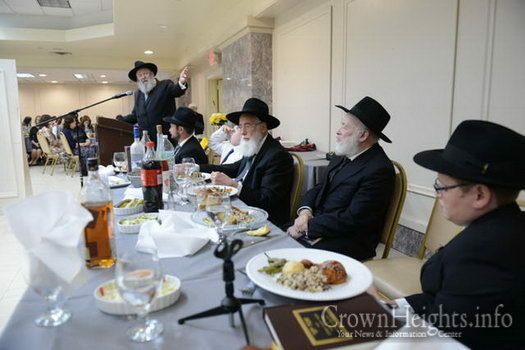 The Torah writing was completed by the hand of Rabbi Shmuel Klarberg of Passaic, NJ. 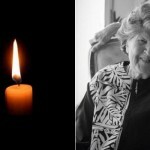 It his comments, Rabbi Yehuda Kaploun explained that he could think of no greater way to memorialize both his and his wife’s grandparents. 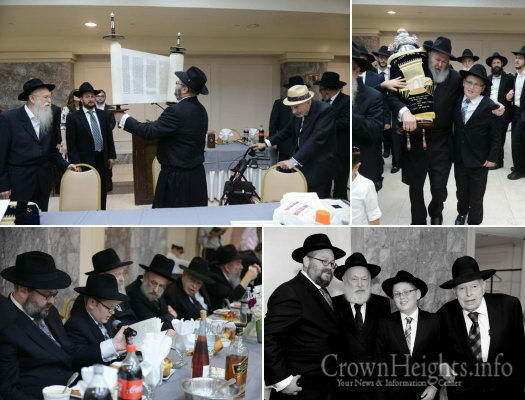 Among the attendees and participants in the bar mitzvah were Rabbi Yisroel Dovid Schlesinger of Monsey; Rabbi Yakov Berl, Mashgiach of Kol Torah in Yerushalaim; Rabbi Yehuda Krinsky of Lubavitch Headquarters; great-uncles Rabbi Sholem Hecht and Rabbi Yosef Hecht, chief Rabbi of Eilat; and Rabbi Uri Kaploun, noted translator and author of the newly updated book, Avraham Avinu of Australia, which was republished in honor of the bar mitzvah and was distributed to each of the guests. 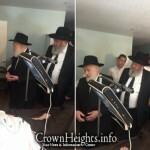 Moshe Yitzchock recited the traditional Maamar chassidus, Issa B’Midrash Tehillim. 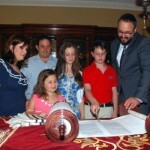 In his comments, Rabbi Schlesinger noted the deep tradition of community service which can be found on both sides of the family spanning many generations, and the responsibility of the bar mitzvah boy to continue the Chessed which his parents are noted for, and uphold the traditions of his family. 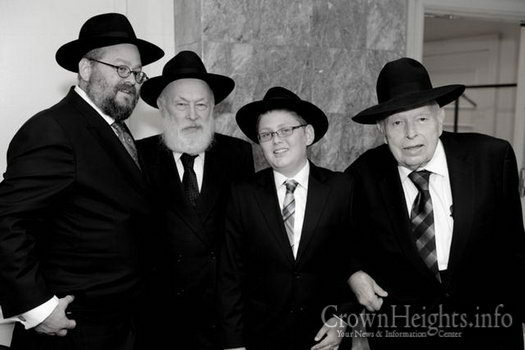 The role of the Kaplouns, the Greenbergs , The Hechts And the Berl families are recognized around the world for being active in Tzorchei Zibbur, which has always been hand in hand with a serious approach to learning Torah. 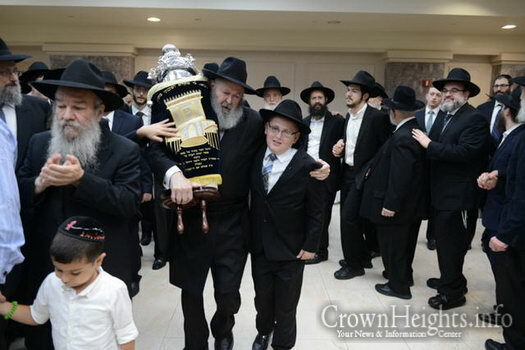 Rabbi Yosef Hecht linked the importance of the completion of the writing of the Sefer Torah with a Bar Mitzvah, and noted the comments of the Lubavitcher Rebbe after the Passing of Rabbi Moshe Yitchock Hecht, after whom the Bar Mitzvah boy is named. 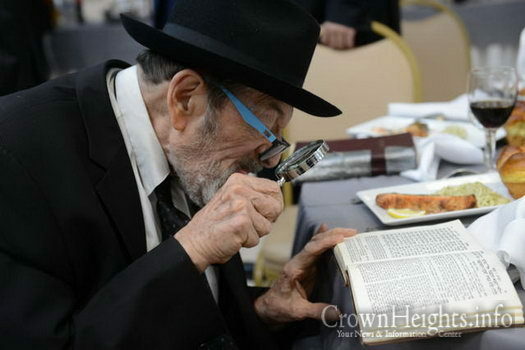 He noted his total commitment to Torah and mitzvos, and the fifty plus years of selfless devotion to Jewish education. 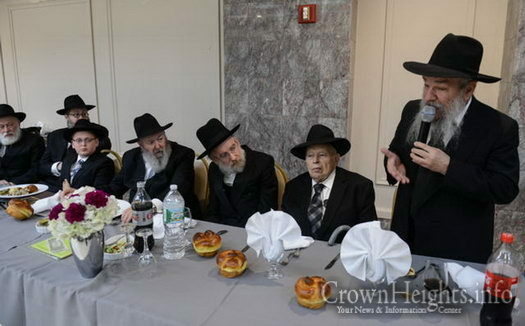 Rabbi Yaacov Kaploun spoke about the family’s involvement in establishing the Moses and Aaron Foundation and the Chazak concerts, and the role that Rabbi Yehuda Kaploun played in being a driving force in these efforts. 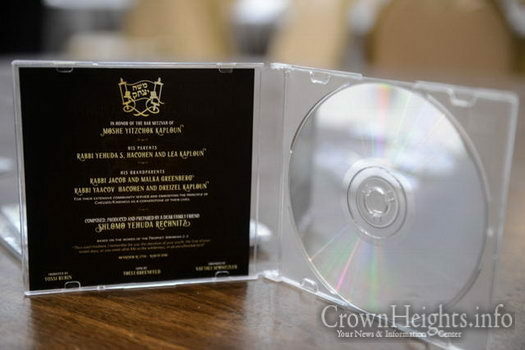 Guests attending were pleasantly surprised to receive a CD with a song composed and produced by noted philanthropist Shlomo Yehuda Rechnitz, a friend of the family, in honor of the celebration. 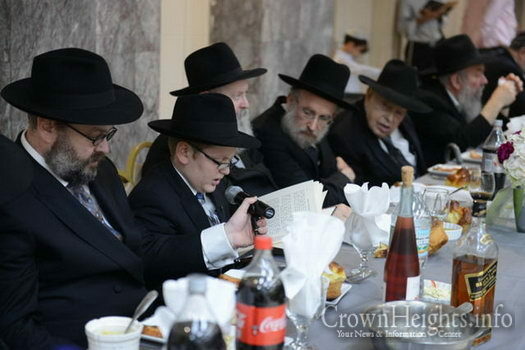 Rabbi Yehuda Kaploun, the last speaker at the Bar Mitzvah, spoke passionately to his son about the expectations and responsibility he now bears of upholding the family traditions of Torah and Gemilus Chassodim, and never backing down from the challenges he will face growing up in today’s society. 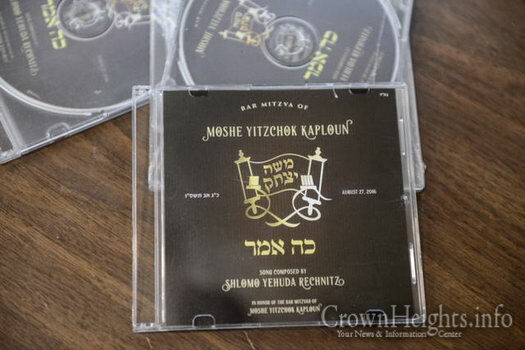 Click here to download the song composed by Shlomo Yehuda Rechnitz in honor of the occasion, or below to listen.